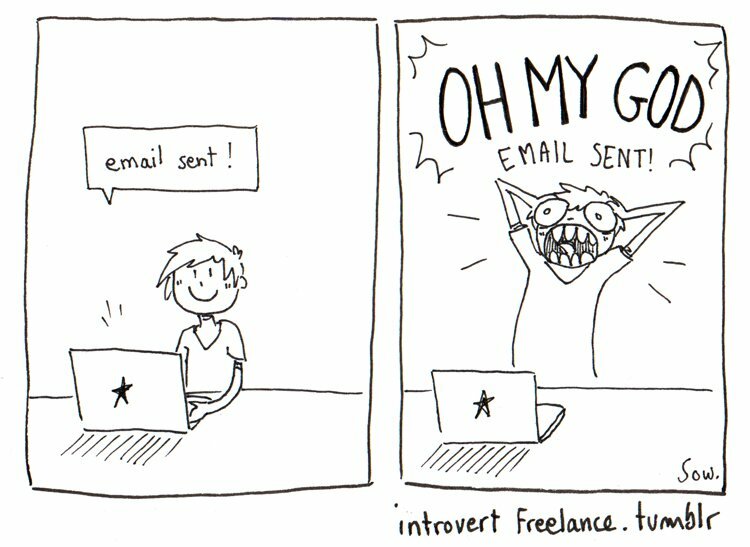 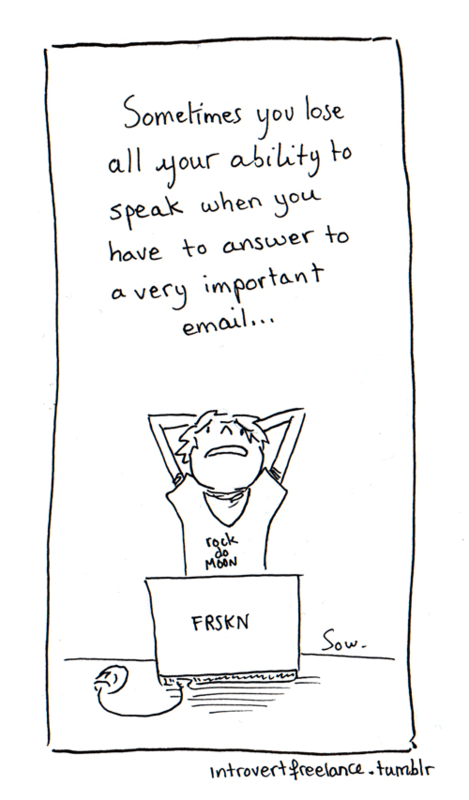 When I first saw one of these cartoons from: The Daily Struggles Of An Anxious and Introverted Freelancer, on Design Taxi, I immediately felt that ‘this person’ knew exactly how I can feel at the best of times! 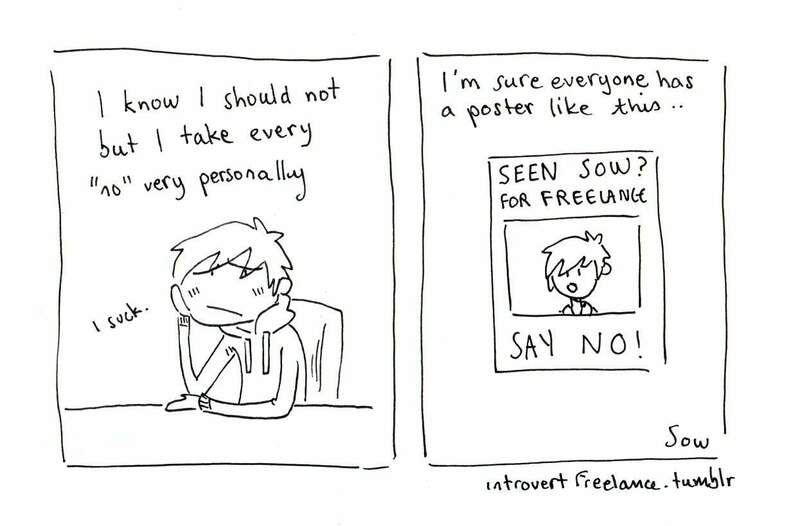 I actually felt a sense of relief when I started scanning all Sow’s cartoons, as one-by-one I realise I surely wasn’t the only freelance graphic designer to feel these things. 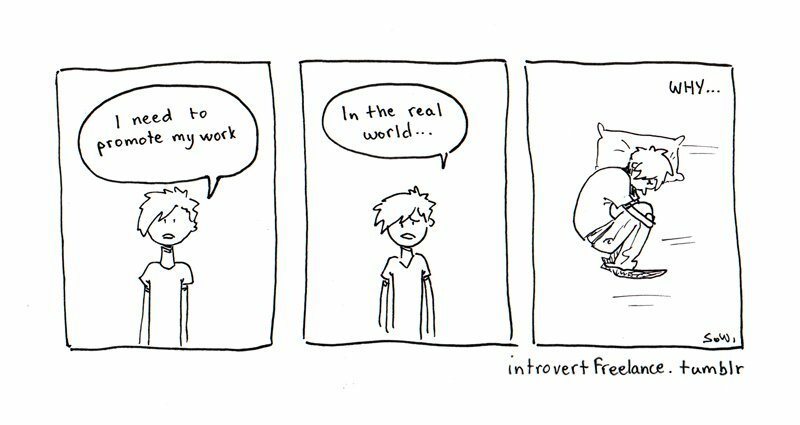 Being an introvert I can totally relate to pretty much ALL of the cartoons that Sow has so brilliantly drawn for his Tumblr: Struggles Of An Anxious and Introverted. 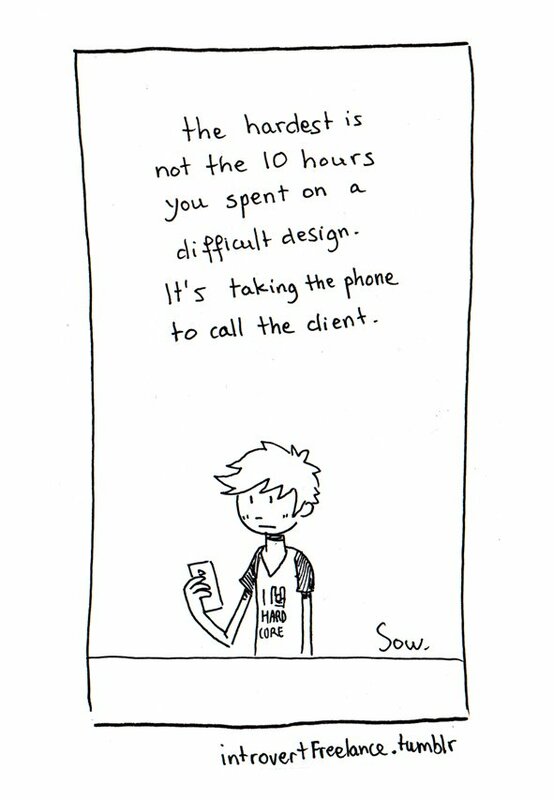 “Hello, I’m Sow, a freelance designer and illustrator. 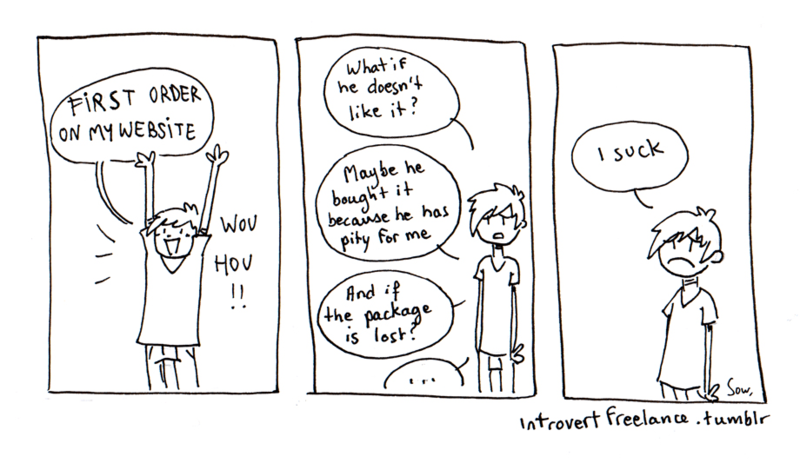 And a huge anxious and introvert person. 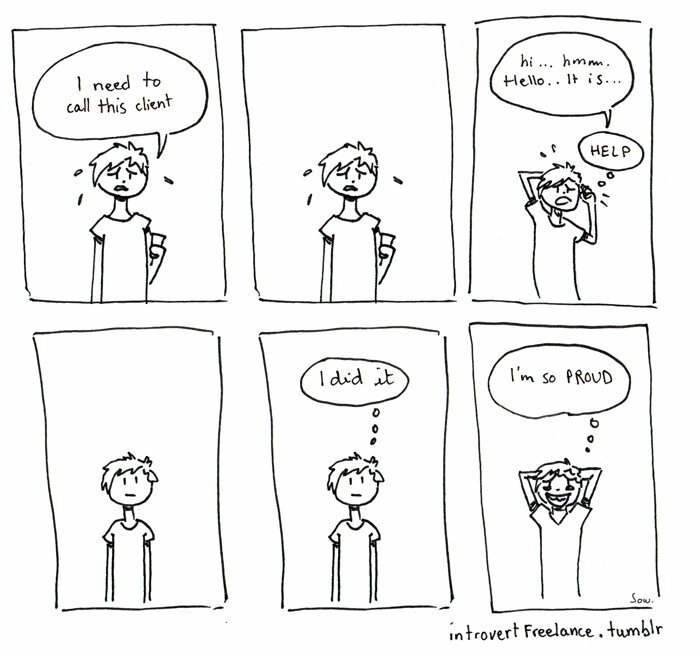 As it is really not easy and I don’t know who to share this with, I thought I could share it with you on the internet. 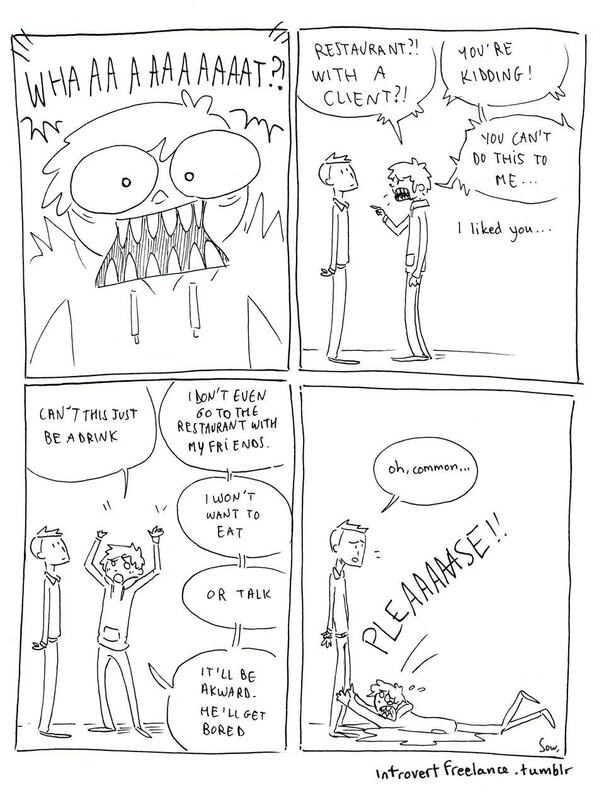 I think many of the comics can be applied to many other situations, even for non introverts or non anxious people.